Come to the Les Portes de l’Anjou campsite located just 400m away from the town centre of Durtal. 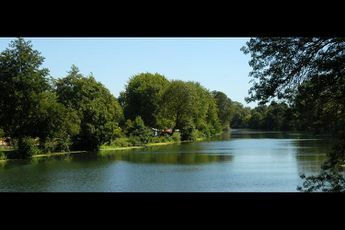 This 3 star campsite with a privileged setting in the area of Maine-et-Loire is just next to the Château des Comptes d’Anjou. A few feet away from the Loire valley, this campsite with many activities to enjoy has everything you need for great holidays. Come to the Portes de l’Anjou campsite ! First of all, the friendly team will welcome you for a perfect holiday. With the Loire river running alongside, the site also has an on-site pool where you can enjoy the relaxing sound of the water. For your little ones, a playground and a mini-club (5 to 11 years old) are available in peak season (treasure hunts, crafts, drawing etc.). 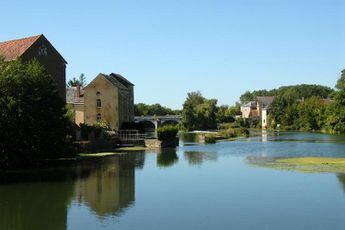 With a direct access to the river, it’s the perfect starting point for water lovers. At the Portes de l’Anjou campsite don’t miss out on the fishing opportunities. Far from the traffic and in a peaceful area, the Les Portes de l'Anjou campsite has high quality and confortable accommodation to offer. Make the most of your stay and don’t miss out on the fun evening entertainment such as dances, games etc. Other services available : laundrette, bike rental, snack bar and internet access (additional fee). Nearest town Durtal (400 m). Enjoy your stay at the Les Portes de l'Anjou campsite and discover the joys of the Maine and Loire and discover the treasures of the Pays de la Loire.